How can human speak to each other? The answer is through language. Language is main communication tool for we as humans to speak to other people. Language is one thing of miracle that connect two or more humans through words, phrase or sentences. In some condition, language is powerful enough to create important policy or make impact in historical event. That’s the power of language. Language is very important for humans, not only for adult or teenagers but also for children or kids. Many children have their own way to develop language skills through variety methods. Every children also have their unique methods to understand and learning language. Even now many children and kids able to use their first language and also their second language in fastest way possible. As we know, children below certain age have a good ability to learn something new, this also include new language. Although they have good ability to learn, children will be prefer to using language from the adults and other children around them. The neighborhood has a massive influence for children. They will be familiar with the habit around them, whether is good or bad. However usually the adults also common specific language to talk with children. It very easily understood by them. Beside that the children also have a strong instinct, it make them easier to learn a language. 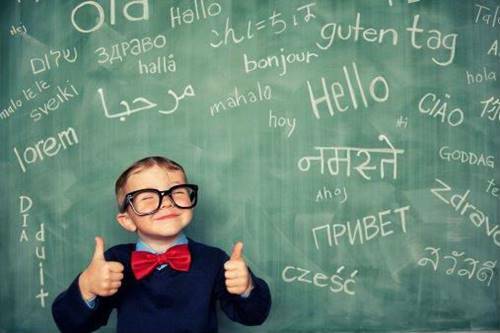 So it’s no surprising that children can learn new language fastly. They can memorize hundreds or even thousands words in couple years to increase their language skills. So what about secondary language or second language? In the modern era, it’s very common for people to masters two or more language, in other words, billingual. In some country, people can talk in national language and regional language. For example in Indonesia, many Javanese people can speak Indonesian language (bahasa) and Javanese language. This also happen in other countries with many regional language. Talk about second language, some people learn their second language in courses, or some language classes. Of course it’s quite successful but not the at maximum potential. It can be maximum if you living in your target language community, so you can directly interacts with the users of target language more frequent and more easier. For people in non-English countries, learning English also add ability to speak new language beside their national language. In addition some other method very support in the language learning is behaviourism. Where the more we active and critical in response something it makes we have more new knowledge. With just sit in the class and do some exercise doesn’t mean we can understand the material more. Just need some free spaces to speak the language it makes you better and can more successful to learn . That quotations have a lot meaning and create some questions. We should keep talking even we also make a lot of errors. But you know sometimes, some teachers give bad response if the students don’t speak well (no errors). Although not all teacher like that (give good response and opportunity ), but some of them do this. If the teachers give bad response to their students, actually the students will afraid to talk again. And the effect the students will be passive. But in recent years, new language can be learn from many sources, not only school or courses, but also other media such internet, forums, book, music, movies, games and many other things. And with language, people can be connected and understanding each others. That’s the miracle and the power of language, that sometimes as a human, we often to forget that.